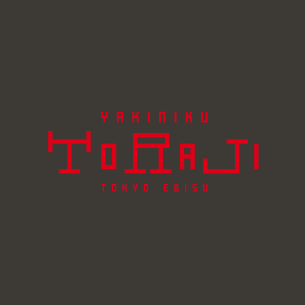 Enjoy carefully-selected Yakiniku in a classy elegant space. 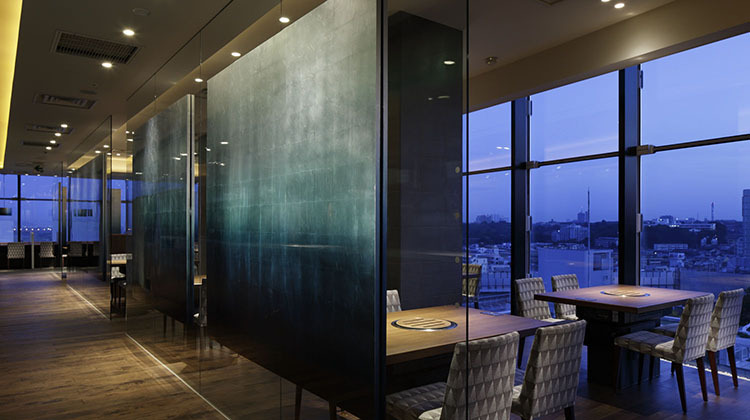 The elegance of the interior of this restaurant has been achieved by the partitions which are covered with silver foils that feature the gradations of the shades of blue to green. The upholstering of the chairs has been done with the original fabric of Nishijin of Kyoto. 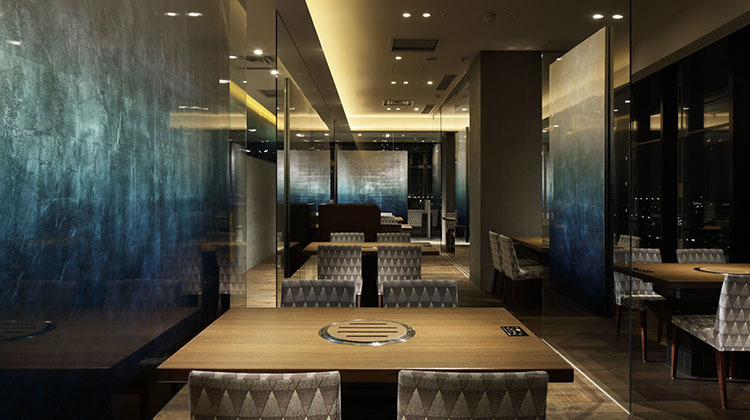 These partitions and chairs contribute to making the interior of this restaurant one notch above that of other restaurants. There are all types of dining areas--the Japanese- style rooms with tables over "Horigotatsu" (sunken heaters) underneath, regular table seating and counter seating. They are available for any kind of occasions-- meals on one's own in between shopping, as well as for dinning with family members from three generations, etc.